Sizes are still approximate for the most recent three. 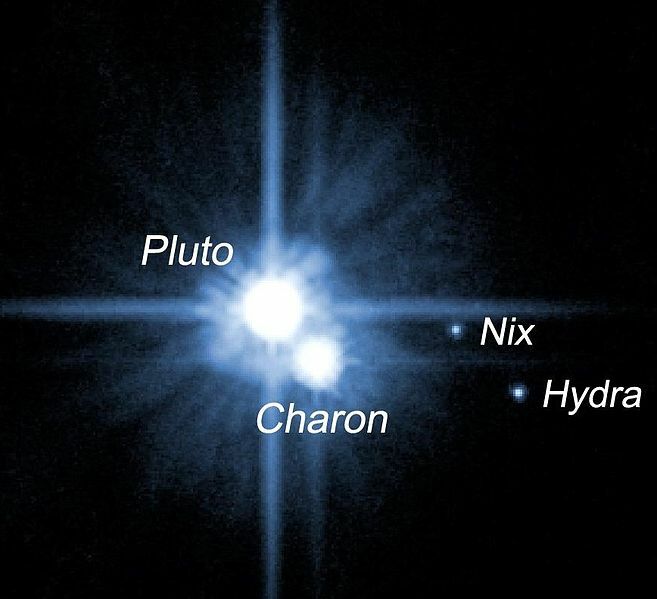 - New Horizons is on the way to Pluto as we speak and will be flying by in 2015, and discovering this moon ahead of time gives the team time to plan the encounter to maximize its view of all four if possible. Much better than flying by and noticing a moon in the rearview mirror that one would have wanted to see close up instead. - The James Webb Space Telescope may be cancelled (just a few years before launch) and people are in an uproar about the idea. 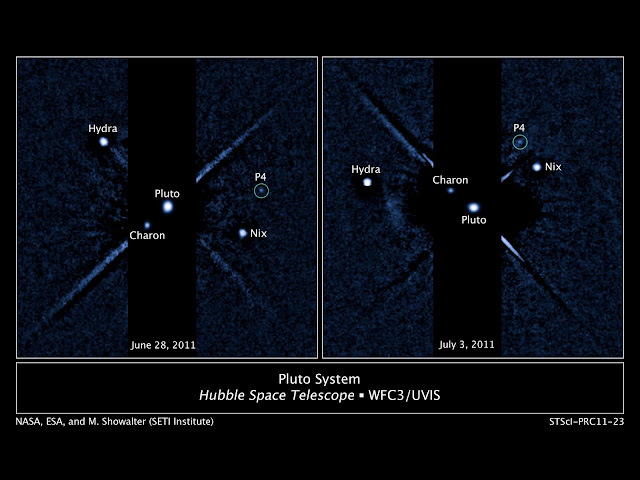 This new moon was discovered by the Hubble, and the JWST is its successor. This new discovery provides an opportune example of the utility of such a telescope. 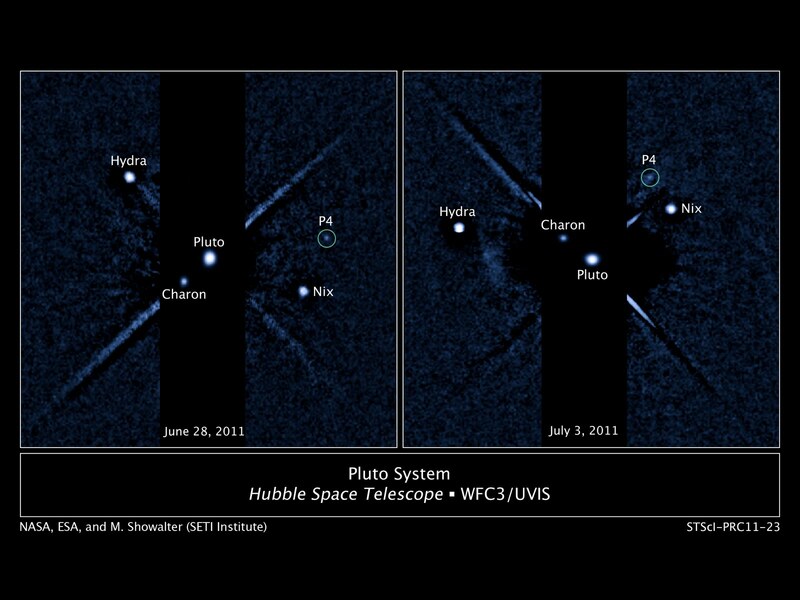 - Pluto was demoted to dwarf planet status in 2006, and this will reignite the debate again. It will of course not change the dynamics of the debate itself since having an extra moon doesn't mean anything about Pluto itself, but we will see people making the argument that a body with so many moons (kind of a tiny solar system of its own) should not be demoted from regular planet. My opinion on planets is that anything with hydrostatic equilibrium orbiting a star or on its own (a rogue) should be called a planet, and we can just give up trying to teach everybody the names of each and every one. And only if we want to be more specific we can attach something to this label: a terrestrial planet, a dwarf planet, a gas giant planet, etc. But just call them all planets for short. Ceres gets to be one too.